A suspect in a San Francisco kidnapping died in a crash on Sunday while fleeing from police who were investigating the incident, authorities said. A female suspect was killed and a second male suspect was injured on Sunday afternoon while fleeing from police in San Francisco, where they allegedly assaulted a woman and forced her into the trunk of their car, according to ABC's San Francisco station KGO. 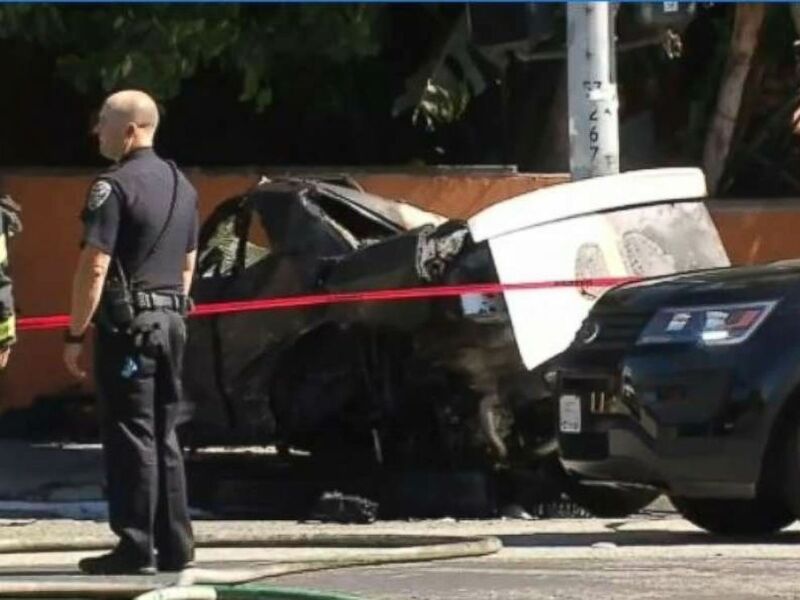 The high-speed pursuit ended in nearby Emeryville, California, when their vehicle crashed into a light pole and bursts into flames, killing the passenger and leaving the driver in critical condition. Bystanders posted video from the scene of the crash, showing police as they pulled the man from the burning vehicle. "The police officer, she pretty much held her calm. 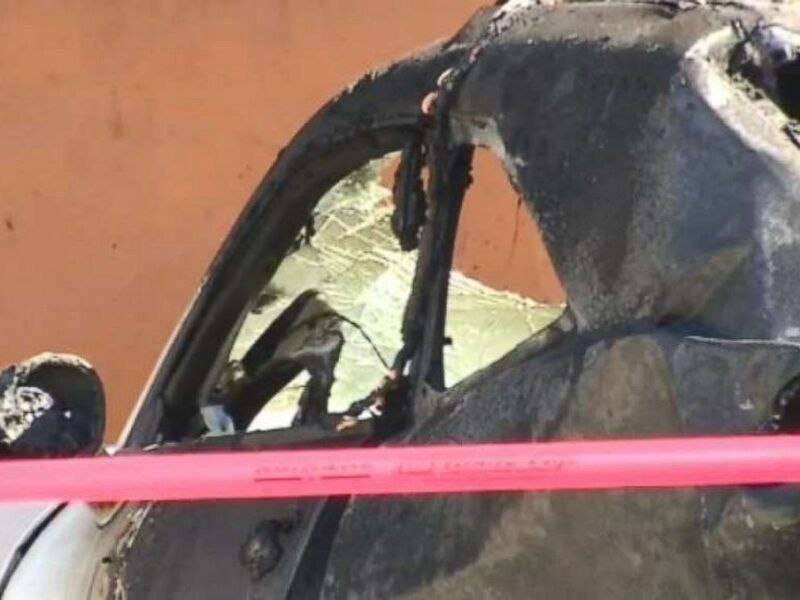 She held a gun on him for whatever reason and she asked someone for a fire extinguisher and we were all yelling for this guy to get out of the car," witness Curtis Portley told KGO. Rick McGee, a retired firefighter, said he was one of several bystanders who tried to help rescue the man. "His legs were I think pinned. He couldn't take his seat belt off," McGee told KGO. "I yelled for a knife. Someone gave me a knife. I cut the seat belt out and I pulled him out from the sun roof." A high-speed police chase in California ended with a fatal crash on Sunday. The alleged kidnapping victim managed to escape before the crash, according to police. "We located her on Van Ness Avenue following the incident. Just to backtrack a little bit, she was able to get out of the trunk of that vehicle by using the emergency release lever. That's how she escaped the kidnapping," San Francisco Police Department Capt. Carl Fabbri told KGO. She was taken to a local hospital for treatment and was listed in fair condition, police said.